After I submitted my Weekly Loadout over at Ed Jelly it got me thinking. I am pretty sure I haven't ever posted here what my daily carry actually is. After a lot of soul searching I came to a realisation, I have two daily carry's of sorts. My fountain pens never leave the house so they aren't really a daily carry of sorts. I do use them a lot but with my travel to work and back I am freaked out that they could be damaged. For taking notes while traveling to and from work I use a different type of daily carry which I will reveal in another post. For this post I am going to show you my current daily carry. You can see my previous daily carry over at Ed Jelly's website. It has to be my Pilot Vanishing Point inked with Pilot Iroshizuku Kiri-Same. I think Pilot Iroshizuku Kiri-Same is my all time favourite ink. It is my everyday ink and it combines so well with other inks. Pelikan M400 Tortoiseshell with Pilot Iroshizuku Chiku-Rin. 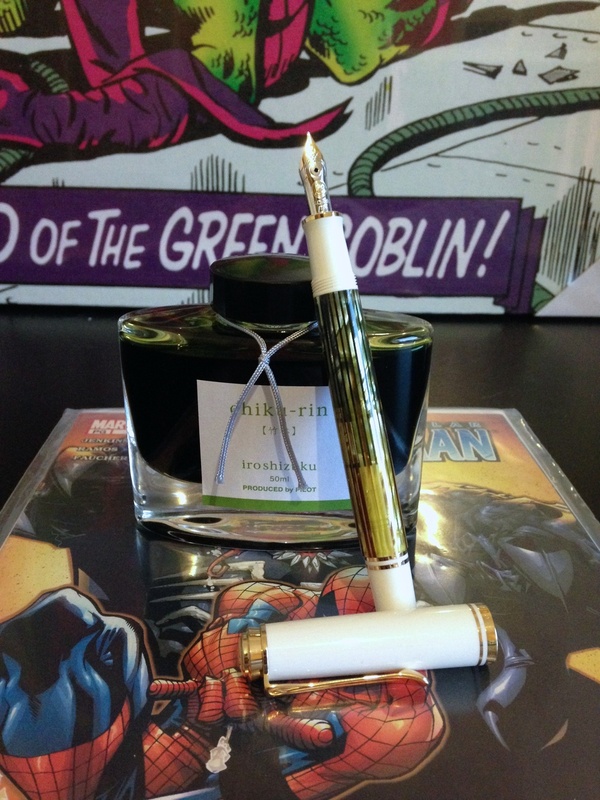 I love my Pelikan M400 Tortoiseshell but I still am really unsure of Chiku-Rin. 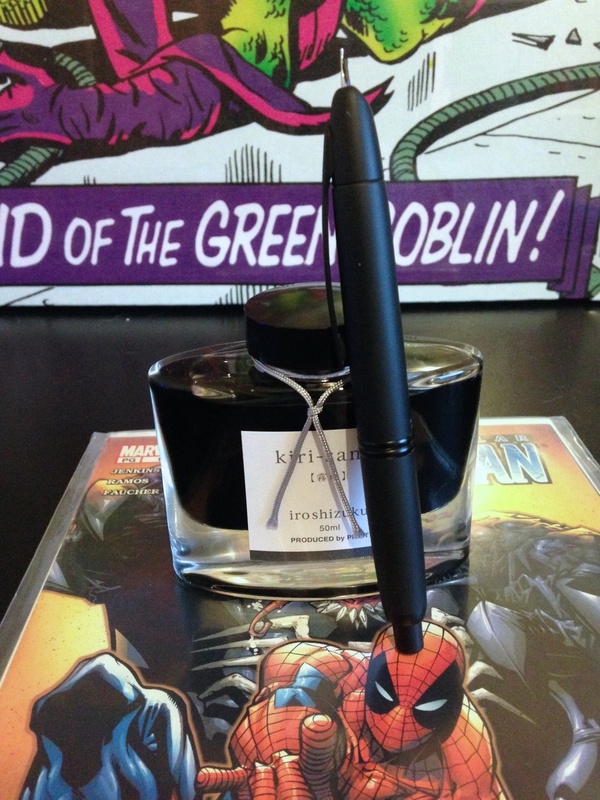 I want to give this ink more time before I review it. Its funny how a ink makes you really enjoy a pen you wouldn't have classed as a favourite. Pilot Iroshizuku Fuyu-Gaki has made me really enjoy using my Lamy 2000 again. I always have a pen ink combination that covers me incase I need to fill in a official document that has stupid requirements for ink colour. The Visconti Rembrandt with Cult-Pens Deep Dark Blue covers me for this.